One of the favorite things to do when holding an old coin in my hand is to imagine the number of people and historical events that little metal disc had witnessed and experienced. Chris Ware shares his take on the life of an ordinary penny, and of the thread weaved through several lives. Before attempting to sell silver coins, you’ll need to organize your collection into collectible and rare coins; commonly referred to as “numismatic coins,” and those that will sell primarily for their silver value. You can learn more about this step in a previous article, How to Determine Value When You Sell Silver Coins. We’ll expand on what we covered in our previous article to discuss where to sell your coins after you’ve determined what you have. Options for Selling Silver Coins Thanks to the rise of the internet, you now have more options than ever when you want to sell silver coins. 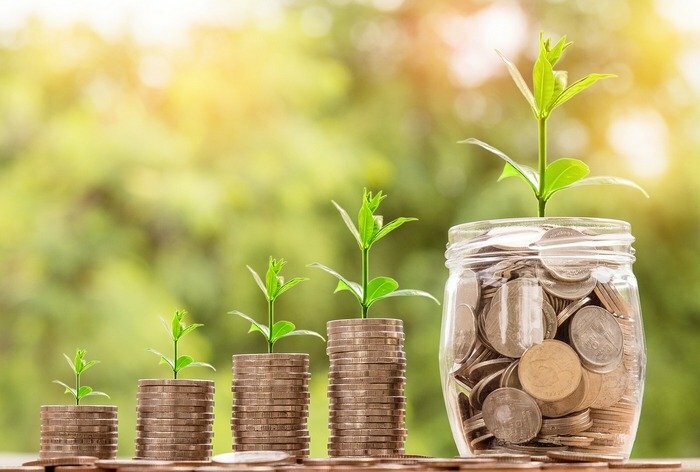 However, not all options will bring you the highest value, and you may be left trying to strike a balance between a fast, easy transaction and the most profitable option. Coin dealers are still a popular choice among investors and collectors ready to sell a collection. However, the truth is, not all coin dealers are equal – we’ve seen this first-hand. While you’ll have no trouble locating plenty of coin dealers, finding one who is qualified and honest is a bit harder. You may wish to make several smaller sales with the dealer prior to selling a larger collection or more valuable silver coins to confirm that the dealer is knowledgeable, transparent, and offers competitive rates for your silver coins. Reputable coin dealers also provide appraisals and evaluations of your coins, an important service if you have valuable coins. Be sure to look for dealers that are members of reputable organizations, such as the American Numismatic Association and Better Business Bureau, to give you some recourse and ensure that they are following a strict code of ethics in the transaction. In general, selling to a dealer is much safer than selling to an individual; especially when selling a valuable collection. You can research coin dealers through the Better Business Bureau, trade associations, online review sites and more. Keep in mind that dealers will buy at wholesale prices, not retail. Online brokers, who can make it easy to sell coins online. Proceed with caution, however, and only complete a transaction with a reputable online broker. Also be sure that all fees are agreed to in advance, as you don’t want any surprises after the fact. Coin collectors, if you have rare, collectible coins. There are always collectors searching for a specific coin or distinct type of silver coins, and many create listings in forums, social networking websites, coin collector communities online and elsewhere. While you may get a high price, the process can take a while and you will be taking the risk of doing business with someone you don’t know. 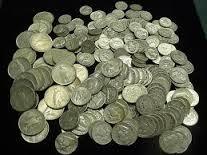 Scrap dealers, if you have “junk” silver coins. This may be a good option once you’ve removed the rare coins from your collection and are content with receiving the melt value of your coins. However, stay away from “we buy gold” stores and pawn shops, as you’ll likely only receive a fraction of the coin’s value. Auctions, both live and online, work well for large and diverse collections as well as individual rare coins. However, auctions can occasionally be cost prohibitive and there’s no guarantee that you’ll realize your targeted price for the items. Is a Coin Appraisal Necessary? Finally, a coin appraisal isn’t just something used merely for insurance purposes – it can also be used to negotiate a deal when you sell silver coins. Reputable coin dealers should be willing to provide a free appraisal; assuming that they are being provided with an opportunity to purchase the collection. Additionally, there are several coin appraisal websites that will give you a rough idea of the value of your silver coins, but you may want to turn to a professional appraisal from a coin dealer to give you the most accurate value for your coins. Having coins professionally graded by one of the top tier third party grading services, such as PCGS and NGC can help to remove a good bit of the subjectivity with respect to the grade and value of your coins. However, keep in mind that having coins professionally graded involves an upfront fee to join the organization, mailing the coins in to have them certified, and waiting for the coins to be returned, which can be a lengthy process. Paying for an unbiased coin appraisal from a professional that is not involved in the business of buying or selling coins is another potential option to explore if you’re not satisfied with the appraisal conducted by your coin dealer.